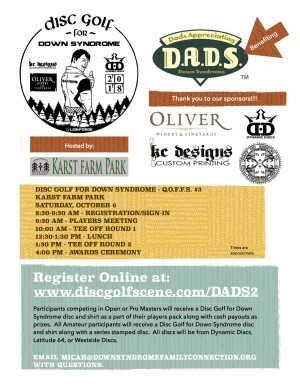 Disc Golf for Down Syndrome is the 3rd event in the Quaff On! Fall Fundraiser Series. 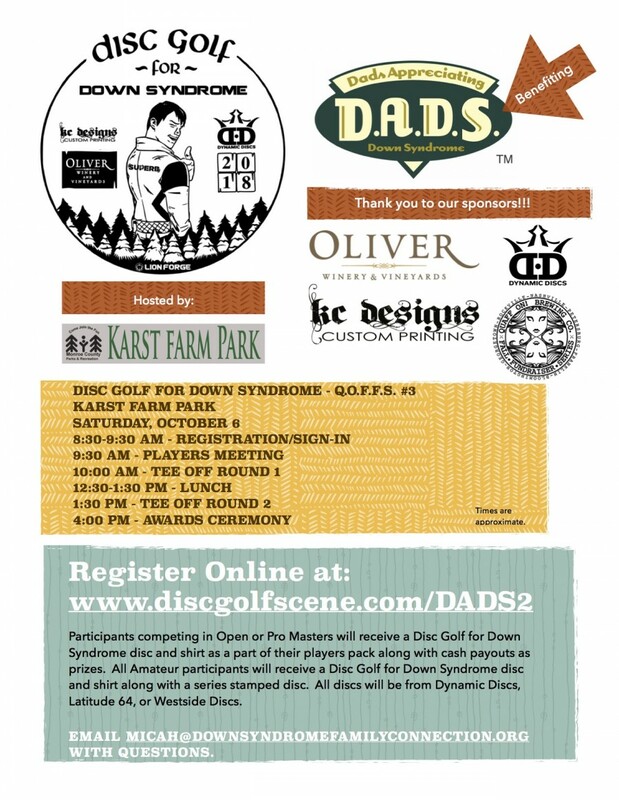 Disc Golf for Down Syndrome is a two round event that will take place on Saturday, October 6th and will benefit the Bloomington based Dads Appreciating Down Syndrome (D.A.D.S.). Pro and Open participants will receive a Disc Golf for Down Syndrome (DG4DS) stamped Trilogy brand disc and a DG4DS shirt as part of their players pack while competing for cash payouts. All Amateur participants will receive a DG4DS disc, a QOFFS series disc, and a shirt as a part of their players pack while competing for a trophy. The D.A.D.S. mission is to assist and support, through fellowship and action, the fathers and families of individuals with Down syndrome. One of the greatest assets of a D.A.D.S. group is the common knowledge that we share amongst each other. We support the Down Syndrome community in a number of ways, most specifically by educating, informing, and providing resources for fathers of individuals with Down Syndrome and bringing the Down Syndrome community together through outreach activities. Dads Appreciating Down Syndrome is responsible for all refunds/cancelations.